Virtual goods purchased with microtransactions and then used to gamble or bet. A skin changes the look of an item in a video game. For example: the same gun in a game can have different ‘skins’. The skins make the gun look differently. Skins are either earned within a video game or they can be purchased in the game’s store. Skins are purely cosmetic so they don’t change the gameplay or they don’t make you a better player. Some skins are rarer than others. So players with a rarer skin gets a certain recognition. Quite similar to branding on clothes. Skin betting is when skins are used to bet or for gambling. These skins become the tokens you can gamble with. Your child plays a game and purchases or wins some skins. The skins are held in a virtual wallet. The player takes their wallet to a different website. This website offers gambling and betting games. The player bets/gambles using skins as their tokens. The skins won can be traded for real money in some games. Gamers spent an equivalent of over $5 billion on Counter-Strike: Global Offensive skin gambling during 2016. Don’t let games lead to arguments at home. We’ve put together all the information and tools you need to feel in control. Where did skins come from? It started around 2012 when Valve introduced skins in Team Fortress 2 and CS:GO. They were added to create more excitement and player engagement. Skins were seen as a reward, an enticement to play their game. Valve also created a marketplace for skins. Players could trade skins with each other and collect skins. Turned out that the colourful skins were most popular and people wanted them because of their trophy value. It showed up the player’s skill. By making some skins rarer than others, Valve engineered a value for these skins. Rarest skins were highly sought after and consequently attracted a higher price. Some skins are worth over $3,000. Skin trading became really popular and a lot of trading was done on Valve’s marketplace. Skins became a virtual currency. For every trade made on Valve’s marketplace Valve takes a 15% transaction fee. Around 2015, as popularity increased, other websites popped up using Steam’s API. This means players could trade with their skins on websites completely outside of the game. 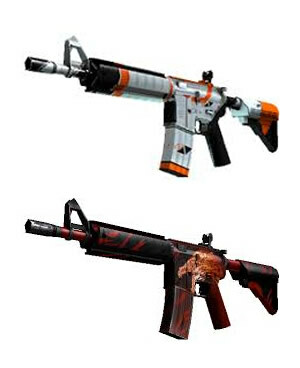 These websites also allowed players to deposit and withdraw real money which was converted into skins. These websites quickly added gambling features and offered games like roulette, coinflip and other traditional gambling games. With the rise of E-sports (competitive gaming) these websites offered the opportunity to players to bet with skins on their favourite e-sports teams. Skin betting does not usually occur within the actual video game. It happens on separate websites. Players can take their wallet with their skins to one of these websites to bet or gamble with their skins. This website offers a range of gambling games players can engage with. In roulette the object is to pick the correct color (red, black or green) where the spinning ball will land on the wheel. On some gambling sites you can also bet on numbers and custom colors which can pay up to 50 times your bet. Compared to normal casino roulette, skin gambling roulette usually have a different layout, but the principle is the same. A simple game where players play 1 versus 1 with a 50% chance of winning. If you win you double up on your bet. In Jackpot players put their skins into the pot, where one person will win the whole pot. The higher skin value that a player adds to the pot, the higher chance the player has to win. Case Opening sites offer the same experience as the case openings in the game, but at a reduced cost and with a better chances of winning.